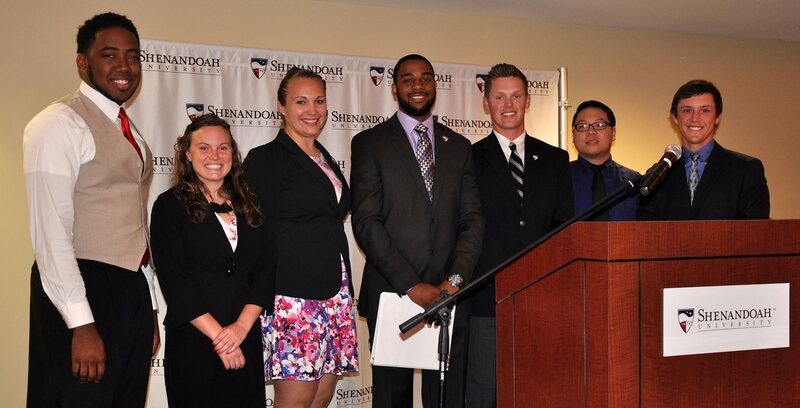 President-elect Devon Newton stepped down from his position shortly after the Spring 2014 Inauguration. Students’ attitudes towards the Student Government Association have been less than apathetic for a couple of years now. Perhaps the lack of structure and presence on campus contributed; there were no outstanding events or call for student involvement besides elections for the new SGA President during spring semester last year. Not to mention two SGA Presidents both resigned before fulfilling their full terms in office in the last few years. Before the fall semester of 2014 even began, the elected SGA President Devon Newton stepped down from his position for unknown reasons and graduate student, Monika Debeski, had to step in for him. Originally, Debeski ran for Vice President of Graduate Affairs. “I was given the option to stay as interim or to stay on,” Debeski stated. “I chose to stay on. It would be better for continuity.” Her statement reflected the lack of presence SGA has on campus, but it seems they hope to set new standards for the coming years. SGA President Debeski, along with the entire association, plans on changing the organization’s place amongst students. She hopes that a set agenda will engage the campus in a way it never has before. Their first order of business seems to be electing a House of Delegates. These representatives may come from groups, clubs and organizations that are active at S.U. Meetings with these delegates will be focused towards communication between the students and faculty; Debeski wants SGA to be the meeting point. Another item on SGA’s list is finding a Vice President, and applications are out for those who are interested. Besides elections, Debeski spoke of three main goals that SGA wanted to accomplish. They hope to move forward with the “Green Initiative.” Through SGA, recycling bins are being placed in the dorms, and they are trying to get people interested in preventing further damage to the environment. SGA also hopes to increase awareness to their presence. Just as the U.S. government plays an important role, SGA works as the liaison between faculty and students, and the association influences university decision-making. If students became more active in SGA, more opinions would reach towards upper tiers of S.U., even towards the Board of Trustees. SGA’s third and most important goal is to act as the “sounding board for students,” according to Debeski. One issue on campus is parking, and SGA plans on making a two-minute video in hopes to clear it. With SGA acting as the representative body for the students, communication with the faculty becomes easier because information will be presented in a “clear and concise” way. When asked about anything new planned for the immediate semester, Debeski stated, “We’ll keep you updated. We do have a variety of events, like the organizational fair. S.U. students generally have an indifferent attitude towards many of the organizations on campus. Only a few clubs stand out, and this may be because of the structure and planned agendas within the groups. These groups often hold events and meetings, but there are still issues with getting people excited about participating. Many students live near campus and are able to go home for the weekend, so S.U. acts unintentionally as a commuter school. This mindset may contribute towards the indifference felt on campus. With enthusiasm and initiative coming from SGA, attitudes amongst students may begin to change towards activism and involvement.